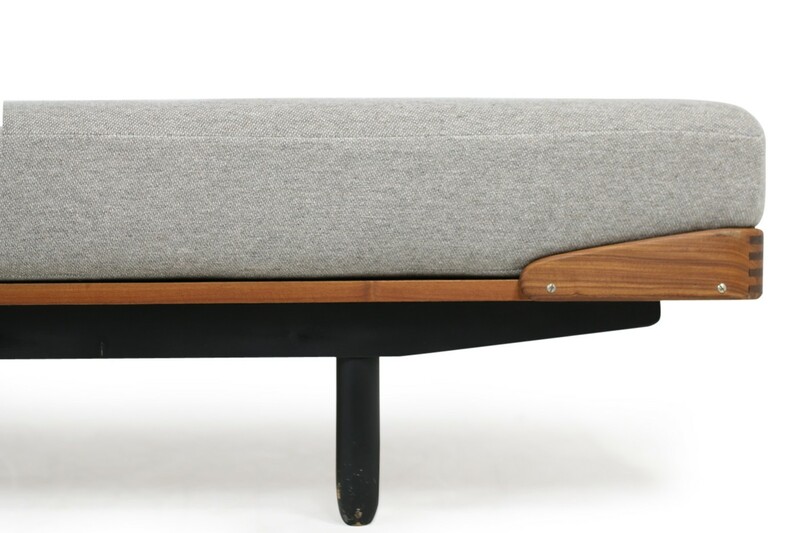 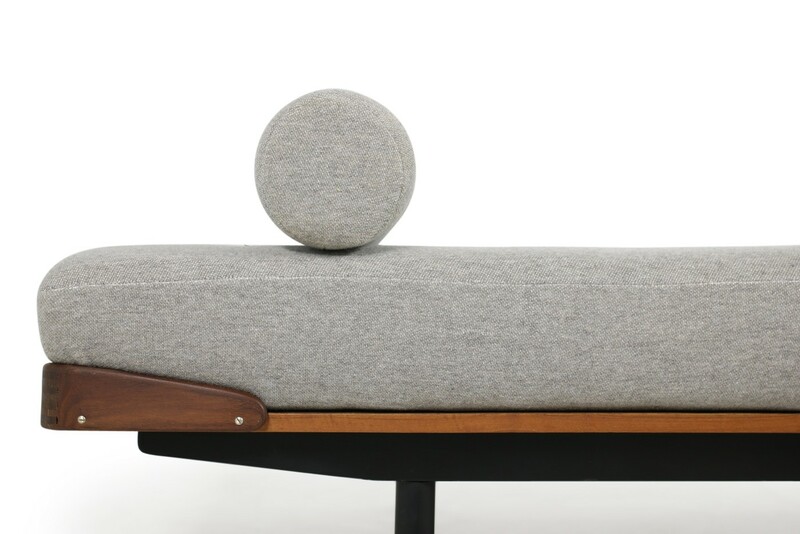 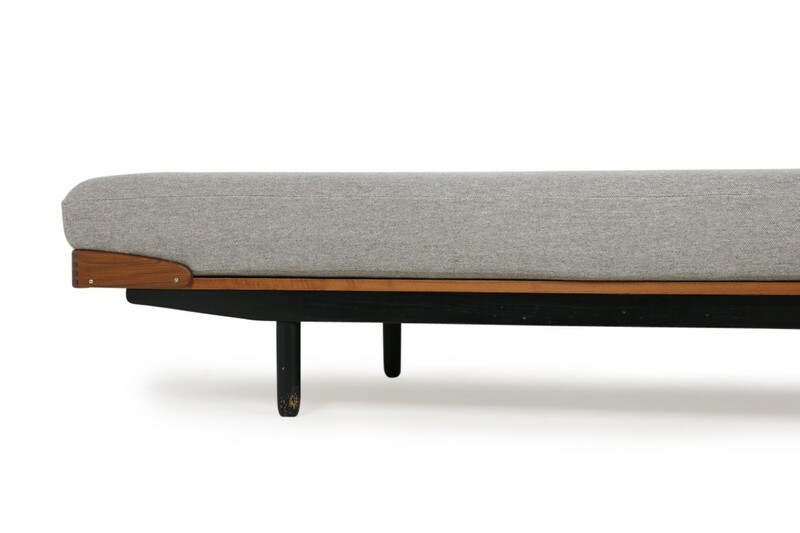 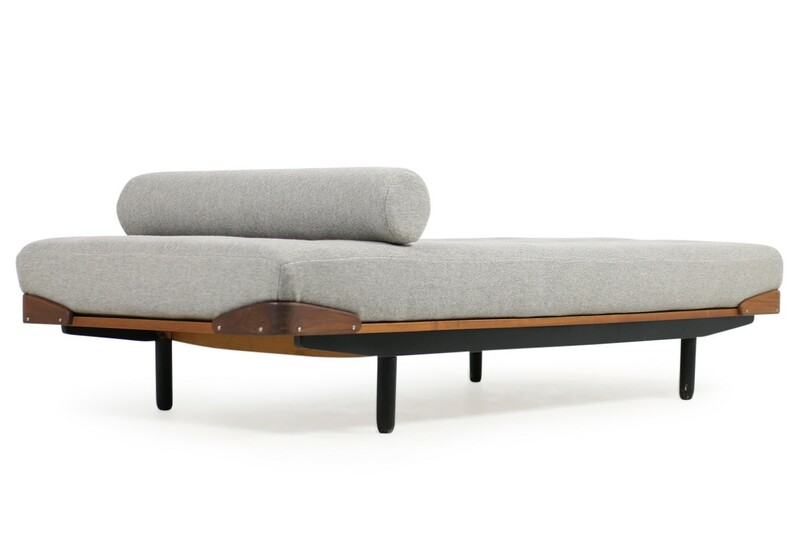 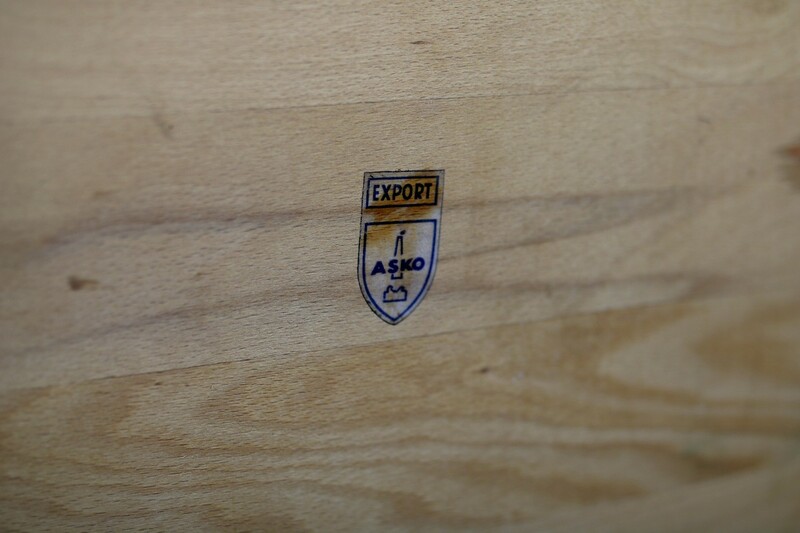 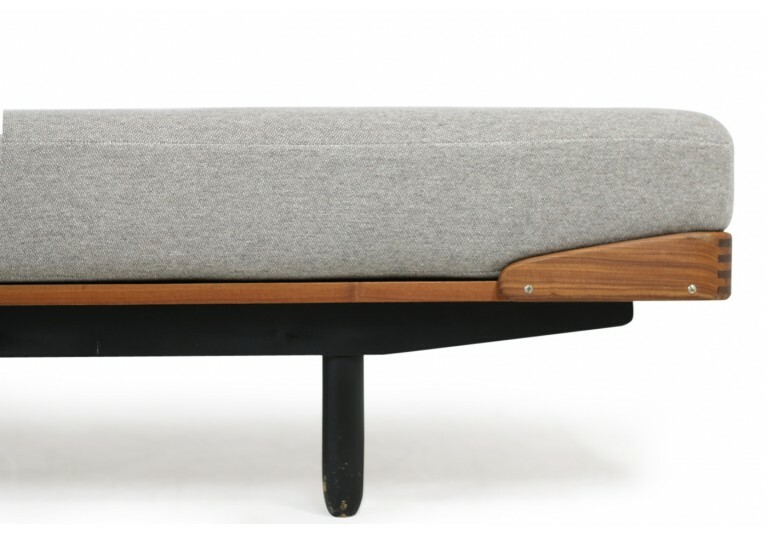 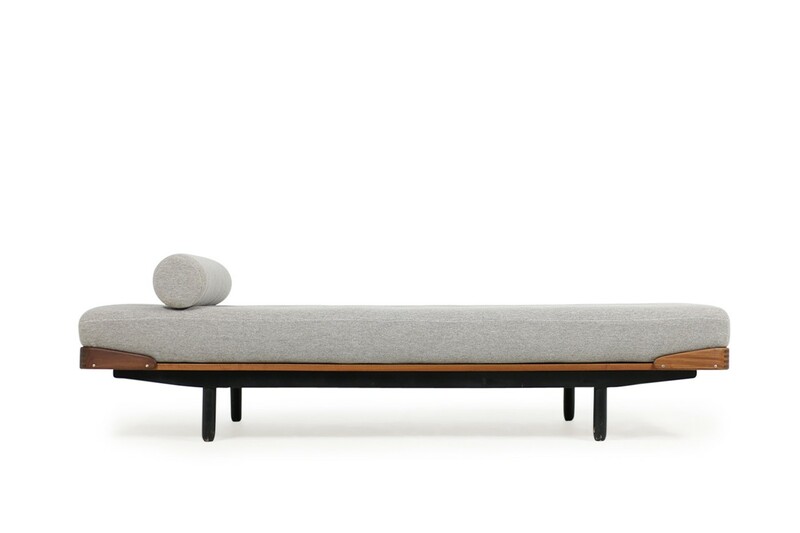 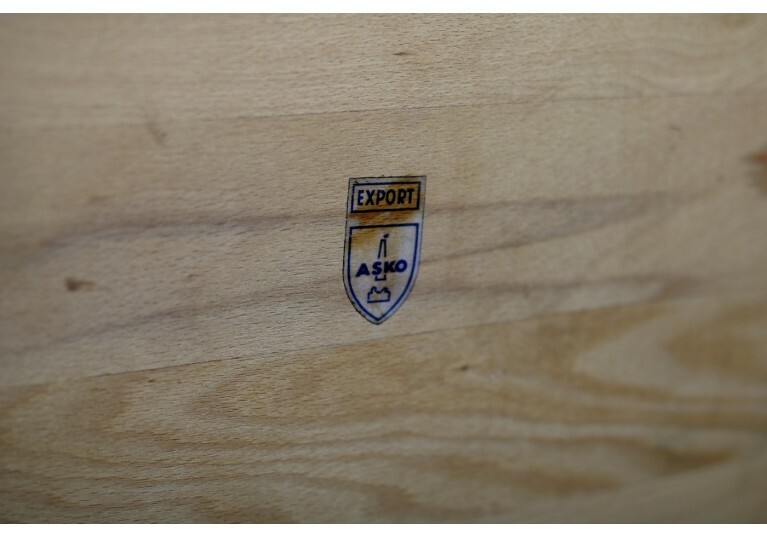 Very rare 1960s daybed by ASKO, made in Norway. 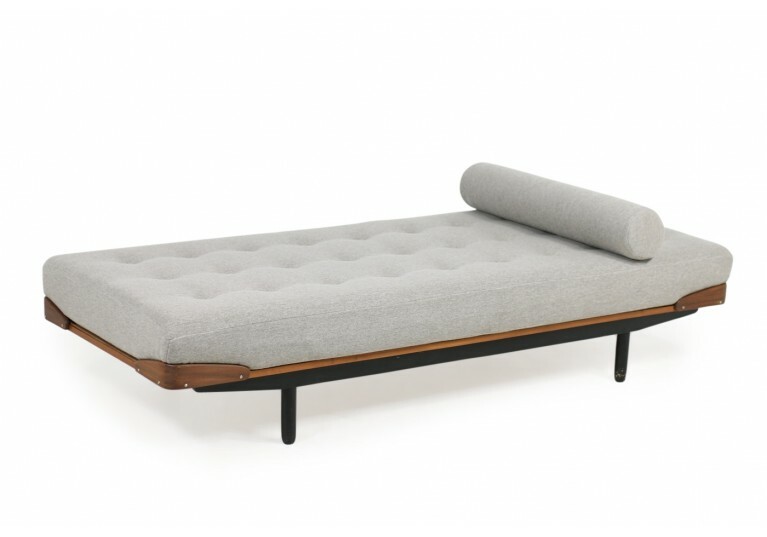 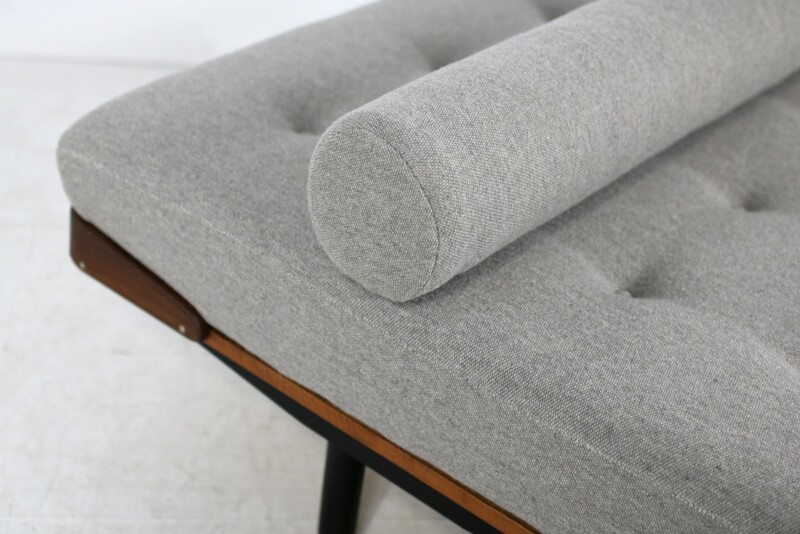 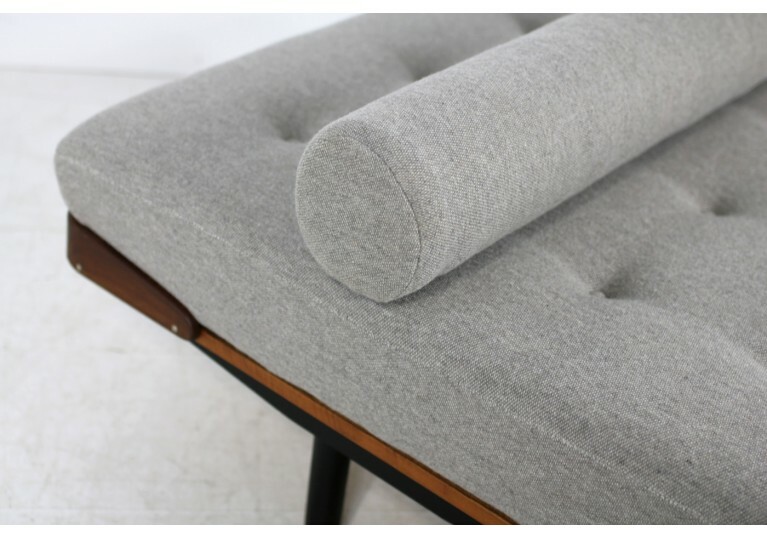 Wooden, origial black painted base, teak components, new upholstery and new made neck rolls, high quality grey fabric, tufted mattress, very good upholstery store job. Unknown designer, probably made to order or made in a very, very small edition, never saw those daybeds before, known designer for ASKO were Ollie Borg, Kerstin Horlin Holmquist, Ilmari Tapiovaara.